Russian experts say the decision to abandon cooperation with NATO on conventional forces must be considered in the broader geopolitical and historical context. 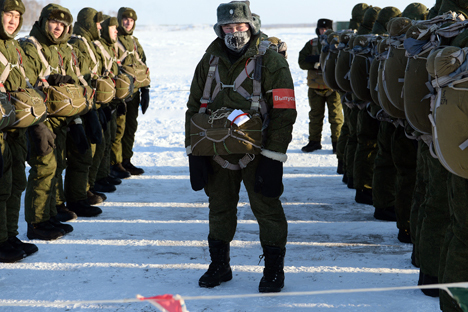 Moscow has announced its withdrawal from the Conventional Armed Forces in Europe (CFE) Treaty, as of March 11, stating that the agreement had became "pointless from political and practical points of view." NATO Secretary General Jens Stoltenberg said that the alliance was disappointed by Russia’s decision, but Russian experts did not find the move surprising. Alexei Arbatov, head of the Center for International Security at the Institute of World Economy, described Russia's move as a "demonstrative gesture in response to the build-up of NATO forces near the Russian borders." According to Arbatov, after the deployment of an American tank unit in Latvia last week, Russia wanted to "once again remind" NATO that it is no longer bound by this agreement. In Arbatov’s opinion, the move was a provocation on the part of the U.S. "The transfer of the unit cannot be regarded as anything but a violation of at least the spirit of the agreement, if not its letter," Arbatov said. The Baltic States, which joined NATO in 2004, were not covered either by the initial agreement, signed in 1990 or the updated version, written in 1999, but according to Arbatov, it was assumed that the agreement would eventually apply to them. Andrei Kortunov, head of the Russian Council on Foreign Affairs, also said that he considers Russia's withdrawal from the treaty a signal to the West that NATO military activity on its borders is unacceptable. In Kortunov’s opinion, the fact that Russia’s withdrawal was not accompanied by specific requests for NATO is significant. "If you refuse from something, even fairly, it is necessary to propose new solutions to the problem," said Kortunov, adding that Russia’s unilateral withdrawal will contribute to the further rise of anti-Russian sentiments and new suspicions on the part of Western countries. When Russia ratified the adapted CFE Treaty, the agreement’s weapons limit for NATO was three times that established for the Russian army. However, NATO required the withdrawal of Russian troops from Georgia, Abkhazia, South Ossetia and Transdnistria as a condition for the ratification of the treaty. In Arbatov’s view, this decision by NATO was what “finished off” conventional arms control in Europe.